RVI Analytics generally collects personally identifiable information with your specific knowledge and consent. If you contact us to receive information about our business and services, you will be required to provide limited personal information. This information may be collected on our behalf by third party service providers who have been instructed to use the information only as directed by RVI Analytics. 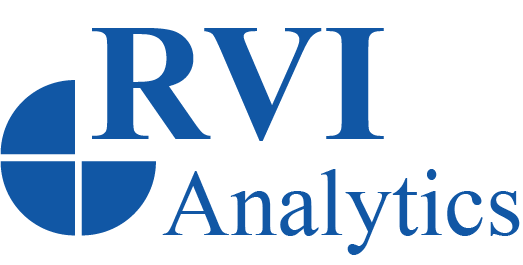 RVI Analytics uses this information to provide you with the service you have requested. We may also use your information to contact you by e-mail or off-line with offers from RVI Analytics. If you do not want us to send you email messages, you can write to us at RVI Analytics, 201 Broad Street, 6th Floor, Stamford, Connecticut 06901. Please provide your complete name, address, email and phone number. We may also initiate marketing contacts with colleagues at your business or institution based on inquiries you may make about our products and services. we must comply with applicable laws, regulations, or legal or regulatory process; or about a sale, merger, transfer, exchange, or other disposition (whether of assets, stock, or otherwise) of all or a portion of the business conducted by the website to which this policy applies. Your Internet Protocol (“IP”) address is usually associated with the place from which you enter the Internet, like your Internet Service Provider or your company. We may use your IP address to help diagnose problems with our servers, gather broad demographic information, and administer our website. If you are located outside of the United States, please note that the information you provide to us will be transferred to the United States. By using this website, you consent to this transfer. You also consent to the adjudication of any disputes arising about this website in the federal and state courts of Connecticut, and in accordance with the laws of Connecticut. Because RVI Analytics values your privacy, we have taken the necessary precautions to be in compliance with the California Online Privacy Protection Act and with the Connecticut Privacy Protection Policy Compliance statute. We therefore will not distribute your personal information to outside parties without your consent. RVI Analytics has also taken the necessary precautions to be in compliance with all other applicable state statutes including, but not limited to, the Nebraska and Pennsylvania statutes. RVI Analytics is in compliance with the requirements of COPPA (“Children’s Online Privacy Protection Act”) and as regulated and enforced by the Federal Trade Commission. RVI Analytics does not knowingly attempt to solicit or receive or collect any information from anyone under 13 years of age. Our website and services are all directed to people who are at least 13 years of age or older.